Data from uncontrolled studies and from clinical practice support the possibility of reducing anti-TNF doses below the normal levels licensed in AS patients with good clinical response, and especially in patients in clinical remission [5, 6, 7]. 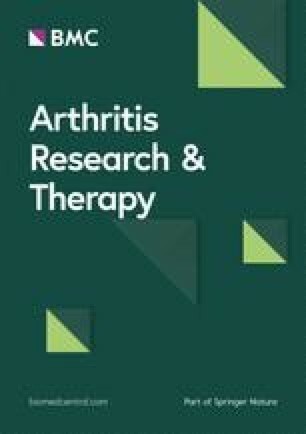 In this sense, a recent consensus paper from the Spanish Society of Rheumatology and the Spanish Society of Hospital Pharmacy  stressed the possibility of withdrawing anti-TNF treatment in some patients who maintain good clinical response after intensive reduction of anti-TNF treatment , but the evidence supporting this recommendation is lacking. 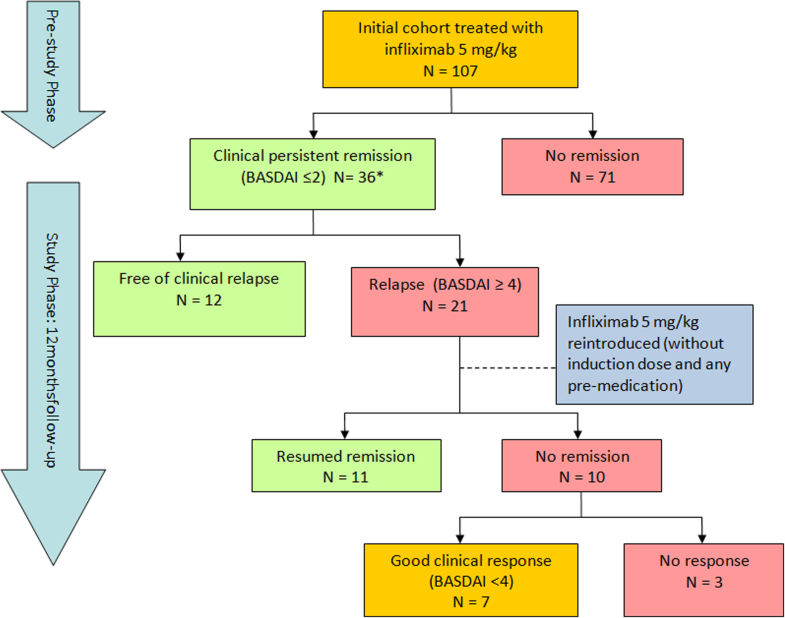 Data from clinical practice and registries have suggested that in patients with sustained clinical remission (i.e., more than 6 months), reducing the treatment dose may be a desirable therapeutic goal [5, 6, 7]. For example, the recent EULAR guidelines  incorporate the tapering of biological therapy for these patients as a new recommendation, even though the data supporting this policy are limited due to the absence of randomized controlled studies. Recently our group have been communicated a randomized pragmatical study demonstrating the no inferiority of a regime of dose reduction compared with full doses in these patients . Many previous studies have suggested that treatment withdrawal in AS patients leads to a reactivation of the disease [8, 15, 16, 17]. Nonetheless, in most studies, withdrawal is performed in patients who are not in clinical remission, and some of them even present high CRP serum levels [15, 16]. Recently, a controlled and randomized study in non-radiographic axSpA patients reported in patients who achieved sustained remission with adalimumab more reactivation of the disease in the treatment withdrawal compared with the control arm (patients without suspension of anti-TNF) . However, some official recommendations, based only on clinical practice and in the expert opinion, suggest the possibility of withdrawing treatment in AS patients with persistent clinical remission after a notable reduction in anti-TNF therapy [8, 18].